When we hear or read the word ‘liberation’ (nibbana), we often get the idea that it is unattainable, otherworldly, reachable only by spiritual giants, and that it has very little to do with us. We do not have to look at it that way. Let us consider the three kinds of liberation—’signless’, ‘wishless’, and ‘voidness’ liberation. Signless liberation is attained by completely penetrating impermanence (anicca), wishless liberation by completely penetrating unsatisfactoriness (dukkha), and voidness liberation by penetrating coreless substance (anatta). We’re all familiar with impermanence, but what is signless liberation? Suppose we are attached to or highly appreciative of a person, a situation, a belonging. Can we let go of clinging to it? We can try to let go of anything at all, no matter how small. We direct our attention to the fact that all we examine is totally fleeting. We fathom that truth in everything, in all living beings, and, having seen it, we let go of our belief in the solidity of things. We thereby let go of our attachment. If we can do that with anything or anyone, even for a moment, we have won a moment of signless liberation—a moment of direct knowledge that nothing has any intrinsic value, that it’s all a passing show. Having had that experience, even for one moment, gives us an inkling of what the Buddha meant when he spoke about freedom. Freedom is often misunderstood as the ability to do anything we want. We have probably tried that already and found that it doesn’t work. Even if we were to follow only our desires, we would soon be satiated and then feel unfulfilled. Freedom means nonattachment, which is not indifference but rather the penetration of absolute truth. To see that clearly, we let go for one moment of anything that we call our own, anything that we like or consider important. We examine it until its fleeting nature has become quite apparent. Then the moment comes when we can say, ‘I don’t have to have that, I can do without it.’ That is a moment of truth. Having a moment of truth is always possible, but such moments don’t come automatically. We have to inquire into our clinging and work at loosening it. Letting go sounds easy, and it is, but only after it has happened. Before that, it entails much self-examination. A moment of signless liberation can be experienced in another way. Suppose, for instance, there is an unpleasant feeling in the body that creates a reaction of ‘I don’t want it. Go away now!’ When we really penetrate into the impermanence of that feeling—when we see how it has no basic reality or significance and, for just a moment, let go of our rejection and say, ‘It’s all right, it is only a feeling’—we get a taste of signless liberation. When we see that there is nothing that really lasts, that all is fleeting, flowing, moving, and changing from one moment to the next, we have a moment of freedom. We can practise that with our thoughts, our feelings, or our physical sensations. As a first step we can become aware of our attachment to the body. Usually, we are concerned whether the body looks good, is dressed appropriately, feels well, eats right, and is comfortable enough. But when we consider the body’s fleeting nature, our attachment may wane. We may experience instead a feeling of equanimity. We have no preference whether this body of ours exists or not. This is a moment of real peace, but it doesn’t happen by itself. We have to remember again and again that life is not guaranteed but merely supported by kamma-vipaka (the results of one’s intentions) and that it may run out at any time. That’s the reason why the Buddha recommended the daily recollection ‘I am of the nature to die’. We are of this nature all the time, which means right now, not twenty years from now or whenever we feel ready. Everybody knows they are going to die—there’s nothing new about that. 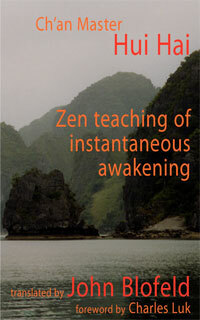 The Buddha did not teach anything inaccessible. He asked us to investigate the known in a new way, to get a deep-down feeling that this body cannot remain, no matter how hard we try to keep it. It’s a foregone conclusion that we are fighting a losing battle. Of course this doesn’t mean we shouldn’t look after our bodies. The body has to be washed, fed, and given medicine. That’s all we have to do. And if we can’t keep it going indefinitely, that’s all right. One moment of real inner seeing is liberating. The experience of relief and release is totally convincing. It arouses a sense of urgency to practise to the end—to be deterred no longer by the opinions of others or external situations. Liberation is not so difficult that an ordinary person cannot experience it. Were that so, the Buddha’s teaching would be in vain. To get a glimpse of wishless liberation, we can notice the dissatisfaction—the dukkha—that arises in the heart and mind whenever we want something. When we drop the wish, we experience relief. The dukkha does not necessarily arise because we can’t fulfil our wish; most likely we can. It’s an old axiom that if we want something badly enough, we will get it. The problem is that most people don’t know what will bring them happiness. 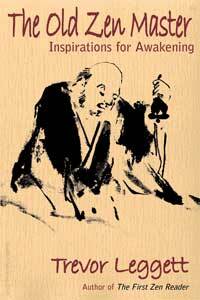 The dukkha, however, lies in the desire itself, which creates tension, a feeling of expectation tinged with worry. The desire also creates a thought process that is no longer concerned with the here and now, but with the future, with the hope of gratifying the desire. A mind preoccupied with the future cannot attend to the present moment. It lives in the imaginary delusion of what might happen when its desires are fulfilled. Of course, the future hardly ever turns out the way we hope, but, since the real dukkha lies in the wishing itself and not in the outcome, freedom from this kind of wishing is called wishless liberation. When we deliberately drop our wishes for things, the release and relief generate a feeling of strength. The mind obeys, abandons its old patterns, and a feeling of self-confidence ensues. The more often we drop our wishes, the more powerful the mind becomes. The word ‘power’ has the connotation of power over other people, but here it means power over ourselves. 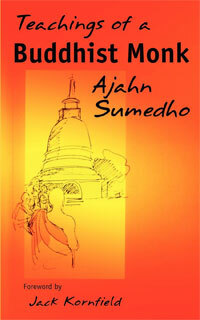 It explains the sort of vibration that emanated from the Buddha and why people flocked to him. We could compare such potential to a powerhouse from which energy can be drawn. It is useful to aim for a moment of wishless liberation. Our wish could be related to eating, to entertaining ourselves, wanting to go somewhere, buying something, getting information, or talking to someone. Whatever it may be, we can drop it deliberately, knowing that we don’t really need it. Letting go of something we want requires willpower. But as soon as the mind has dropped its wishes, we can experience the ease of contentment. To get an inkling of voidness liberation, we can deliberately empty the mind of all it contains, realising that it has no absolute significance. The less we carry in the mind, the less tired the mind becomes. Usually our minds are full to the brim, which is a great burden for us. Voidness liberation means that there is an absence of all formations (thoughts and reactions). When, for a moment, we have let them go, we can notice how relieved we feel, and we get a taste of voidness liberation. Then we let thoughts and reactions return and realise the difference. Immediately irritation arises, which usually escapes our awareness because we’re used to a mind full of formations. We experience the heavy, debilitating, burdensome nature of thoughts only when we are able to compare our usual mind states with momentary emptiness. This may be the first time that we notice the constant sense bombardment we commonly experience. The most insidious irritations arise through thinking. Thought is a constant process with which we identify and then we act upon. We can’t act upon everything we see or hear. If we see a beautiful sunset or hear some great music, there’s nothing to do about it, except to like it. No need for a reaction, which may easily result in new problems. Even the most innocuous situations can cause friction if we identify with our thinking process. Once we express our views, hopes, and beliefs, the argument starts, and tears start flowing. Any meditator knows that the thoughts that arise in the mind have no true significance. When we want to meditate, they are nothing but a nuisance. But the same applies when we don’t want to meditate. It makes no difference. Mind is mind. There is another way of experiencing a moment of voidness. When we see the interconnectedness of dukkha, anicca, and anatta, we glimpse the lack of substance in all existence. We can see the clouds moving in the sky and the wind blowing in the trees. We can notice our blood pulsing and our breath flowing. The universe is contracting and expanding constantly. Within all that movement, we cannot find anything to grasp and retain. There is nothing solid at all anywhere. Such a moment of seeing frees us from craving and clinging, from samsaric existence with all its dukkha. Clinging is always connected with the fear of losing, and craving is always connected with the fear of not having or not being. Fear and anxiety are natural states of being in the human condition. The supermundane condition is without fear, since there is nothing to be lost or gained. We crave and cling to whatever we think is important. Being free from craving or clinging for a moment doesn’t mean we are indifferent to others. 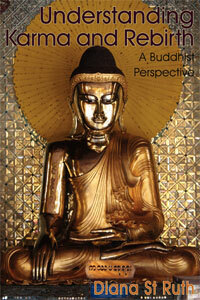 The Buddha’s great compassion arose out of his enlightenment. He saw quite clearly that everybody was suffering on account of craving and clinging. Because he had eliminated these mind states within himself, his great compassion was not marred by any concern for himself, and he could completely give himself to others. We can take steps to approach this ideal and get a glimpse of its peacefulness. It is accessible. From Be an Island: The Buddhist Practice of Inner Peace by Ayya Khema. Beautiful. Just what I needed.